Week 33 was kicked off with four hours of breastfeeding and infant care classes. Mom and dad learned a number of remarkable things, from the benefits of skin-to-skin contact to a number of handy breastfeeding postures. Several styles of swaddling were demonstrated. This week, dad will be practicing his technique on the cats. According to baby center, here’s little duff’s status this week. This week your baby weighs a little over 4 pounds (heft a pineapple) and has passed the 17-inch mark. He’s rapidly losing that wrinkled, alien look and his skeleton is hardening. The bones in his skull aren’t fused together, which allows them to move and slightly overlap, thus making it easier for him to fit through the birth canal. Getting the lowdown on latch and breast crawl. We are at the 80% mark. The baby bump is getting impressive, the nursery is almost ready and mom and dad are getting ready to take a flurry of baby classes. 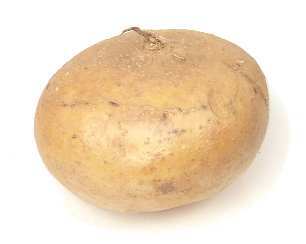 By now, your baby weighs 3.75 pounds (pick up a large jicama) and is about 16.7 inches long, taking up a lot of space in your uterus. You’re gaining about a pound a week and roughly half of that goes right to your baby. In fact, he’ll gain a third to half of his birth weight during the next 7 weeks as he fattens up for survival outside the womb. He now has toenails, fingernails, and real hair (or at least respectable peach fuzz). His skin is becoming soft and smooth as he plumps up in preparation for birth.